Jimmy Coffman of Mr. Fish unleashed a stream of catfish on Friday. 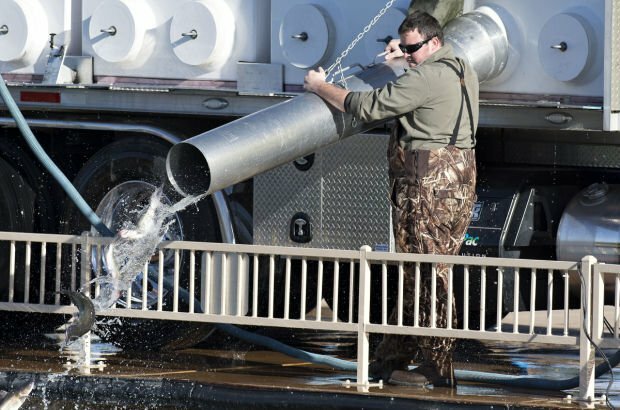 Sahuarita Lake hadn’t been stocked since May. 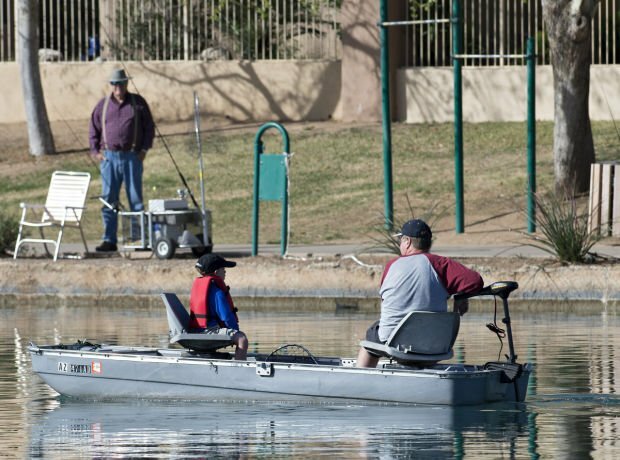 Gary Ivy and son Glenn were the among the few fishermen standing by as 1,700 pounds of catfish and 150 pounds of bluegill were added to Sahuarita Lake on Friday. The man-made 10-acre lake is reopened for boating and fishing from dawn to dusk.